Tools and technologies with global delivery and support. 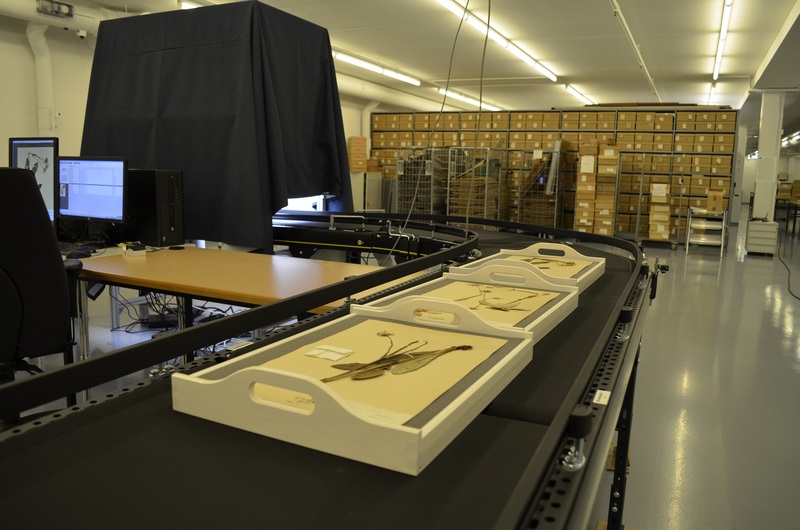 If you have millions of specimens to digitize, an outsourcing service might be necessary. We offer that at our factory in Joensuu, Finland. We have been in the forefront of biodiversity informatics since 1992. World’s biodiversity is rapidly vanishing. Yet scientific collections at natural history museums and other institutions boast 2-3 billion specimens. Their information must rapidly be made available on Internet in order to boost scientific discovery and sustainable management of ecosystems. BioShare Digitization is a spin-out and successor of Digitarium, a global pioneer in mass-digitization. Since 2010, our group has built six integrated mass-digitization systems for our customers — three for herbarium sheets, and three for pinned insects. Our latest digitization line, built at our factory in Joensuu, Finland. Shipped to Canada -- see the news section.